Property 19: Comfortable bungalow, big sunny garden easy 5 minute walk to beach and village. Property 21: Intimate cottage equipped to high standard, TV, "Smart" BlueRay player and Wifi. 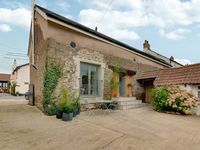 Property 29: 2-bedroom dog friendly cottage located in Braunton, within easy reach of the beach. Cosy well located bungalow in Westward Ho! Property 32: Cosy well located bungalow in Westward Ho! "Nautilicious" a 2 bed Waterfront Cottage, with Fantastic Estuary Views. Property 33: "Nautilicious" a 2 bed Waterfront Cottage, with Fantastic Estuary Views. Charming Farm Cottage, Far Reaching Views Of Devon , a rural escape! Property 34: Charming Farm Cottage, Far Reaching Views Of Devon , a rural escape! 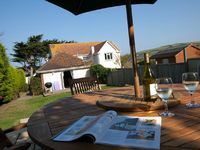 Property 39: 4 Bedrooms | Sleeps 8 | Pet friendly near Croyde and Saunton Beaches. Holiday Bungalow in Northam near Westward Ho! Property 47: Holiday Bungalow in Northam near Westward Ho!